Dense temperate rainforest covers the Olympic Peninsula of Washington right up until the coastline, then rocky cliffs and towering islands create a stunning landscape where at least 12 species of alcids can be seen from shore or by taking a boat just a few miles out onto the ocean. Most people, even non-birders, are familiar with puffins – the iconic alcid. Indeed, most species are just variations on puffins – simultaneously pudgy-looking and incredibly sleek; with oddly shaped and colorful bills. 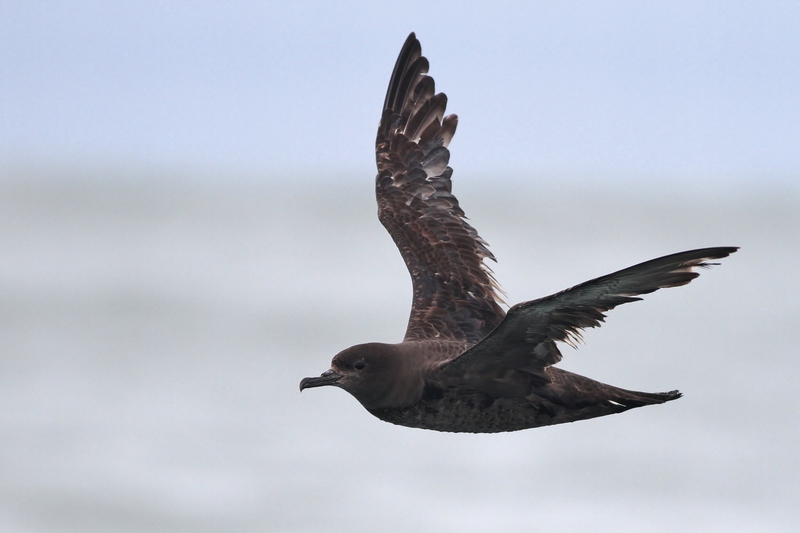 Six species in particular call the Olympic Peninsula home, most breeding on offshore islands and one species actually nesting in massive trees further inland. 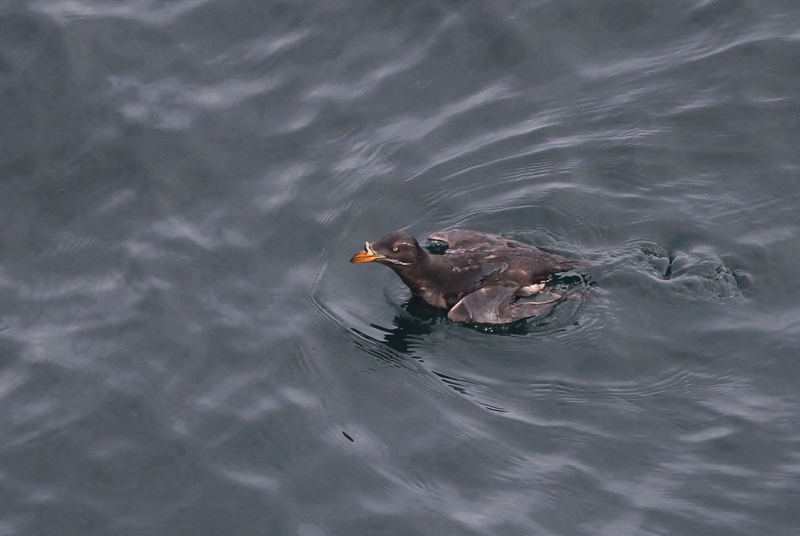 During summer, birders can expect to find Pigeon Guillemots, Tufted Puffins, Rhinoceros Auklets, Marbled Murrelets, and Cassin’s Auklet without much trouble. On a recent tour up the Washington coast, I was able to observe each of the six breeding species listed and put together this quick summary of where we had the best luck viewing them. This is the most commonly encountered alcid along the coast of Washington, since they prefer to forage in shallow water right along the shore. 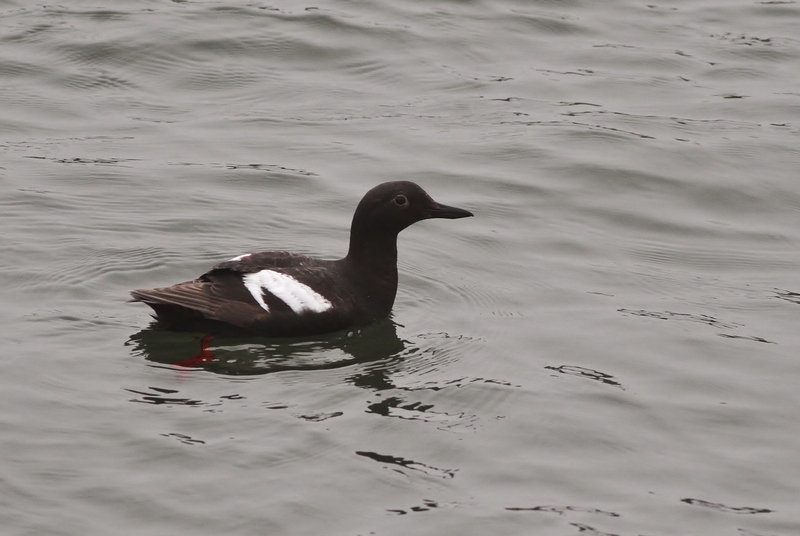 We saw this species on each day of our trip, and had the biggest numbers at Cape Flattery, where at least 150 guillemots were scattered along the coastline. We were even able to hear them calling back and forth to each other! This bird’s massive, orange bill and classy, all-black plumage highlighted by big white, curled eyebrows was the least cooperative species for photography on my trip, but I did find them in decent numbers at a few locations, most notably from Second Beach in Olympic National Park. From the beach, I scanned with my scope to the various islands offshore and was able to watch as 20 puffins flew to and from their nesting burrows when I woke up one morning after camping. I made the quick digiscoped video below which shows a few distant Tufted Puffins, as well as many Common Murres. I was shocked to find out that this spectacular alcid is downright common along the coast of Washington. We saw them daily, and had the most at Olympic National Park’s South Beach where at least 100 were flying and foraging around just offshore. The marina at Westport was also a great place to view them up close. Although there were good views to be had from shore, I cheated and went out on a salmon fishing charter where I was able to get some nice in-flight photos of the Rhinos as they flew past our boat! 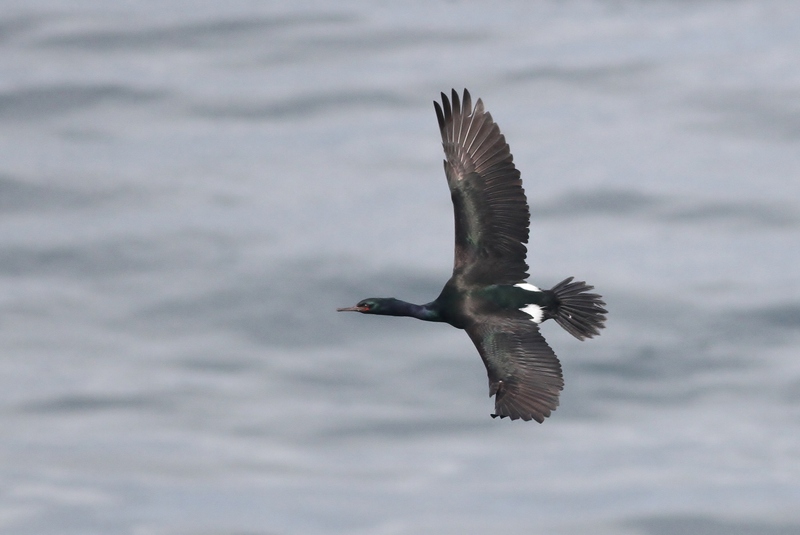 This species is very closely related to the puffins, but has a slimmer bill with a formidable horn which currently no one knows the exact function of – I just know they were awesome to see, and quickly became one of my favorite birds. The Marbled Murrelet is famous for being an endangered seabird that has the unique habit of nesting inland, on the branches of massive old-growth trees usually at least 200 years old! 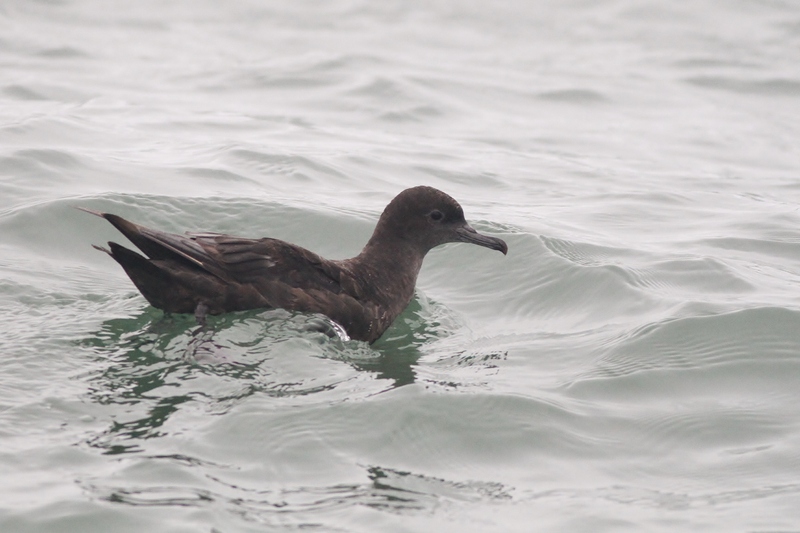 They are small, about the size of a Ruddy Duck, but their mottled brown plumage and small, sharp bill made them a treat to watch as they foraged through kelp beds along the coast. 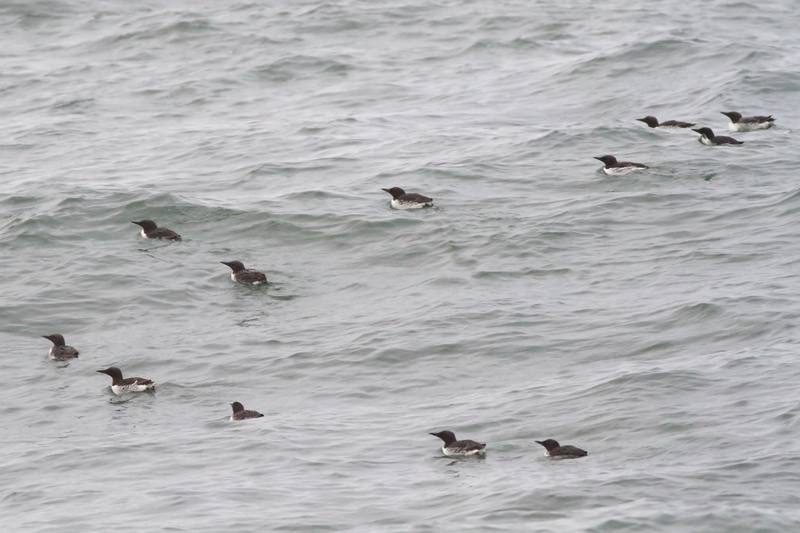 I had the best luck with them at Salt Creek County Park, where at least 8 murrelets were floating around just off the edge of the cliffs. 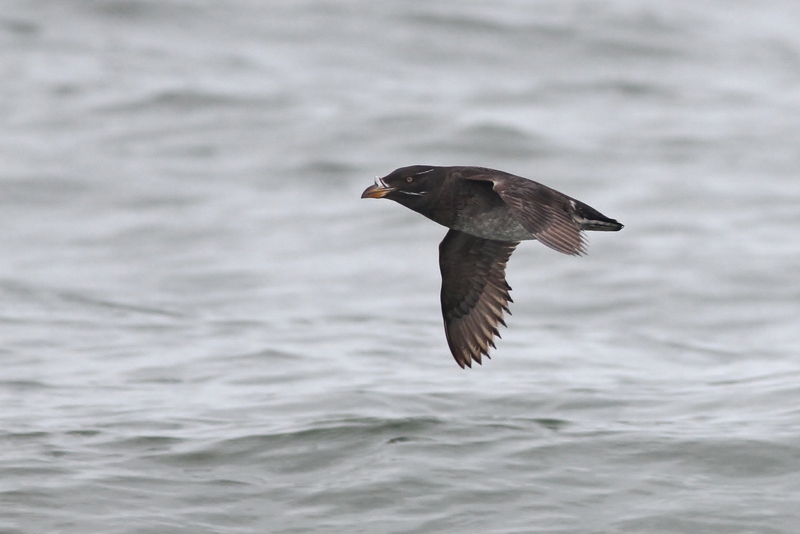 The Cassin’s Auklet is a small, large-headed alcid with ambition. 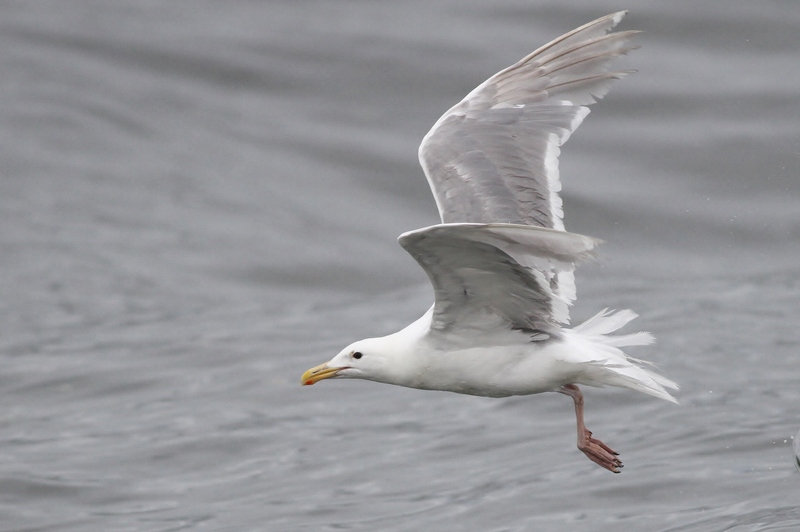 This species may produce two broods during a single breeding season, but is often shy and not very often seen, preferring to fly between its foraging area and nest burrow under the cover of darkness so as to avoid gulls and other predators. 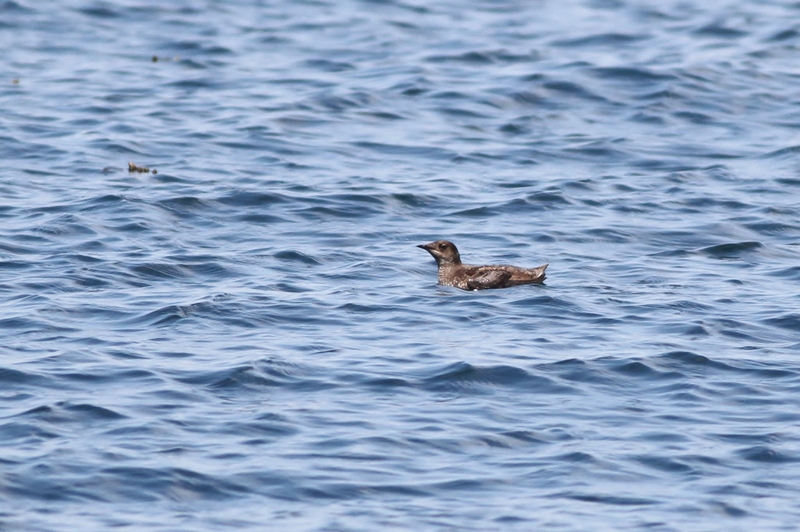 I was fortunate to see a total of just three Cassin’s Auklets on my trip with two at Cape Flattery, however none were close enough for photos. 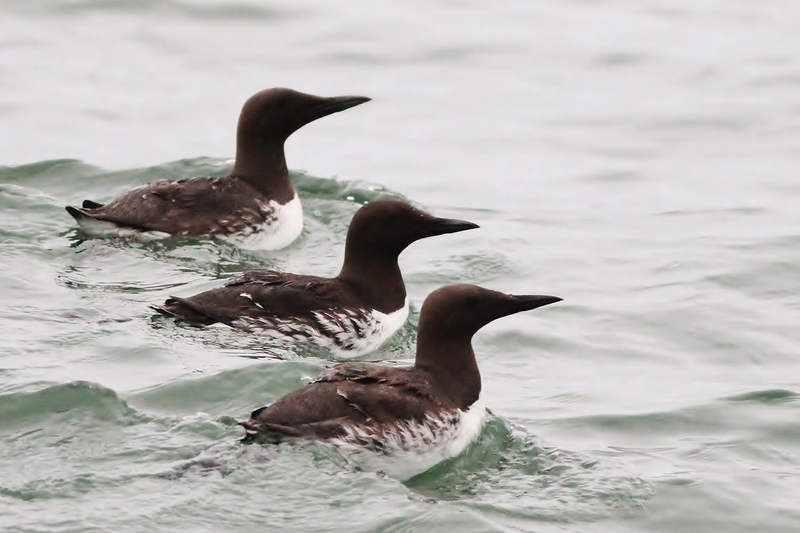 The Common Murre is probably the most common alcid along the Pacific Coast, with massive breeding colonies on many rocky islands along the coast. 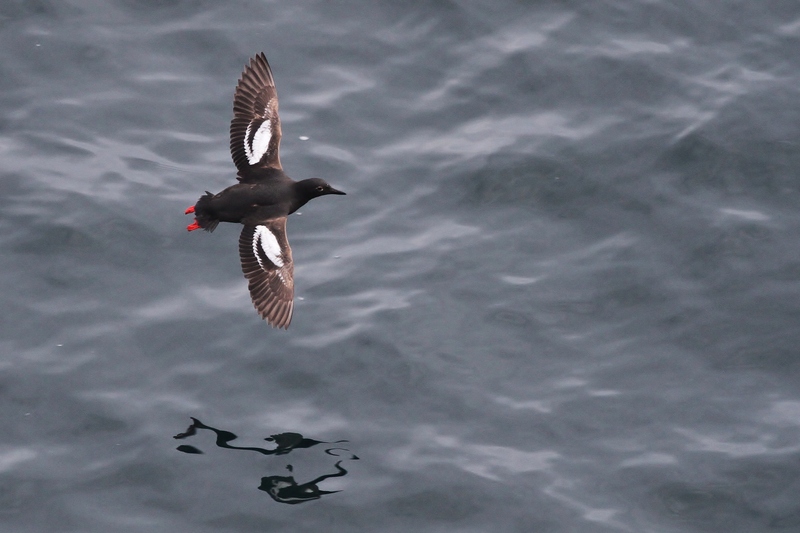 Like a more rugged penquin, the Common Murre is very stream-lined and quite efficient at hunting underwater. We saw literally hundreds of these at many locations, including at least 400 seen from Second Beach. 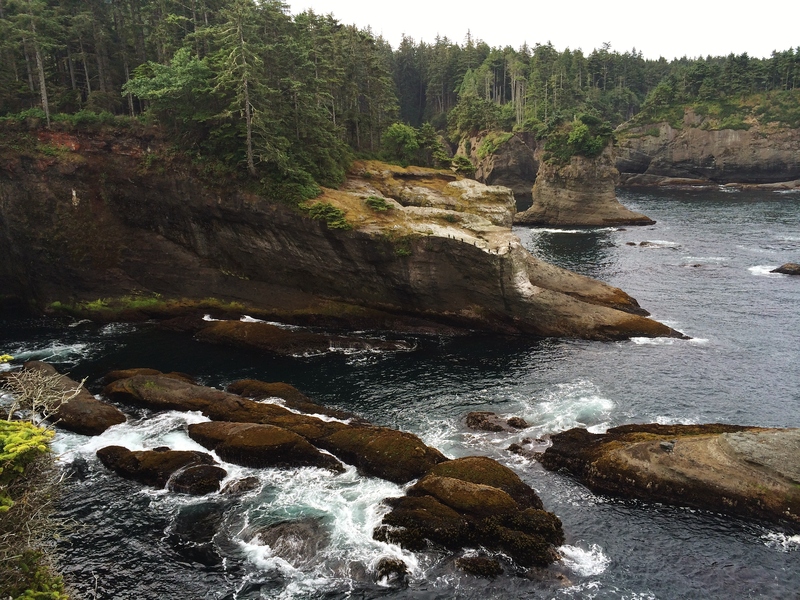 The alcids found along the Olympic Peninsula are just the fish-smelling icing on the cake. 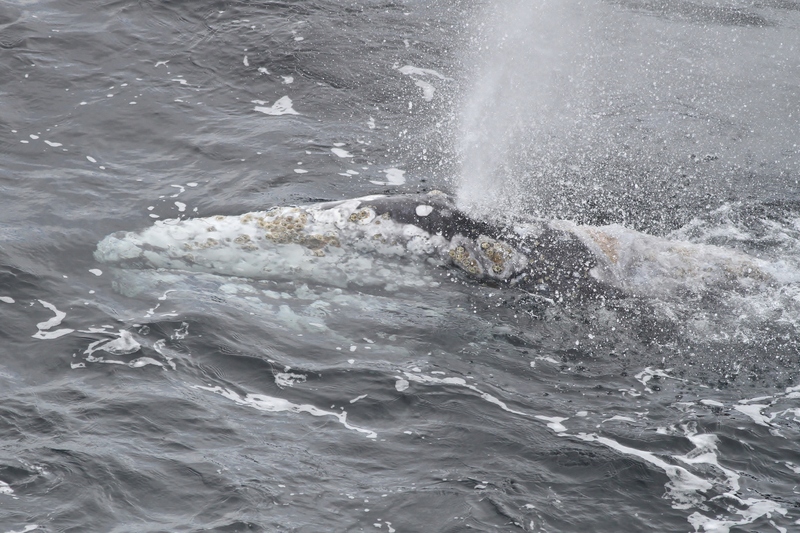 While scouring the coast, you are sure to also come across many other sea animals. 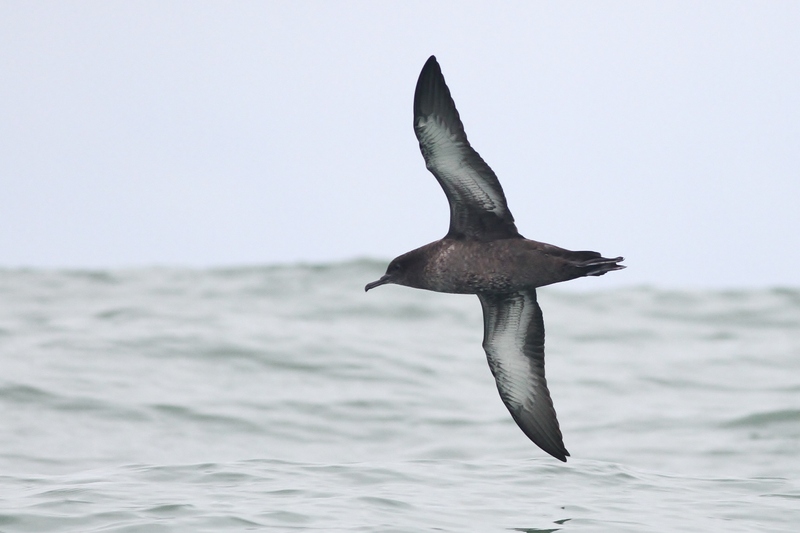 Many locations that we birded from offered distant views of thousands of Sooty Shearwaters migrating offshore, a spectacle in its own right. We also had the good fortune to watch as a Gray Whale slowly patrolled the coastline at Cape Flattery, twice swimming right below the cliff we stood on! 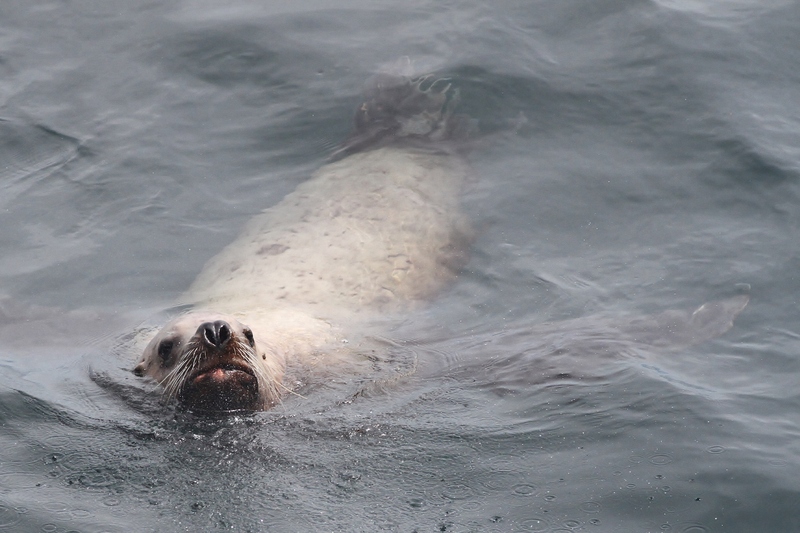 California Sea Lions and Sea Otters were also seen along the coast, and we had a total 143 species of birds! 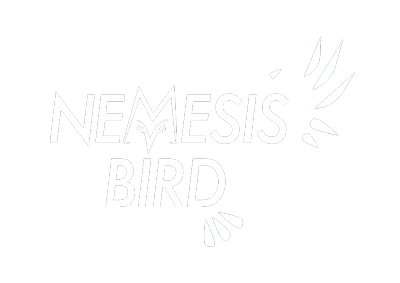 This area of the country not only offers incredible scenery but also a vast array of bird and mammal species, many of which are difficult to see as well anywhere else.